In adults, the spinal cord is approximately 40 cm long and extends from the foramen magnum, where it is continuous with the medulla oblongata, to the body of the first or second lumbar vertebra. Acute exacerbations of multiple sclerosis (MS) will generally resolve without therapy. However, steroids diminish the duration. More than 85% of patients with relapsing-remitting MS show improvement with IV methylprednisolone. Management of patients with multiple sclerosis has essentially three aspects: (1) therapies aimed at halting the progression of the disease, (2) treatment of acute exacerbations and (3) therapies designed to modify complications. The initial imaging test to aid in the diagnosis of multiple sclerosis is gadolinium-enhanced MRI of the brain and spinal cord. MRI is a sensitive test for the detection of lesions consistent with multiple sclerosis. Although no laboratory tests are diagnostic for multiple sclerosis, one feature remains unique to this disease: Uhthoff’s phenomenon, temporary worsening of signs or symptoms secondary to small increases in the patient’s body temperature. 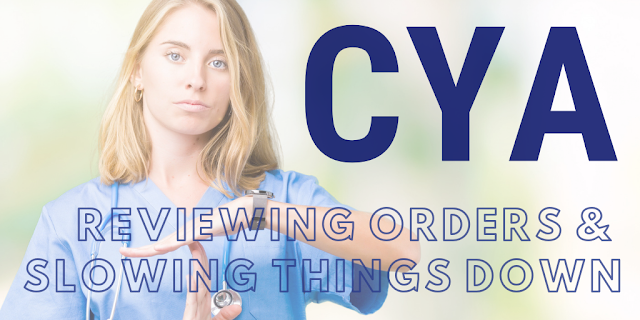 I recommend any and all nurses to review their orders at the beginning of their shift. You have no idea how many times I found a chest tube on water seal when there were orders for continuous suction. I don’t accuse anyone of anything (as I have no evidence as to when the error initially occurred), but after finding conflicting settings, I write the following note. I'm not trying to get anyone in trouble, management can investigate this further and determine their actions (if any). But what I won't do is acquire an existing problem and ignore it. This is an error that could have adverse effects in the future (for example the pneumothorax increases in size, causing respiratory distress). The goal is to document the discrepancy and its resolution. Because if there are issues, later on, I want all parties aware of such an incident prior to my arrival. It's all good until it isn't, then it's your fault. Now, as a nurse practitioner, I hear many providers complain about nurses calling them about “stupid things” (such as the example mentioned above). But I’ve been there, I've been that bedside nurse. As a bedside nurse, he or she does not have the luxury of determining what the provider will or will not care about. There are floor standards and protocols in place. Providers need to leave all the extra emotions at the door. 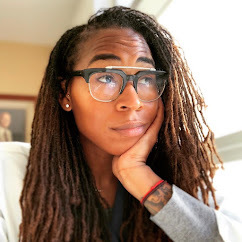 As a nurse, you simply focus on speaking your peace and moving on. This isn't personal, this is healthcare. You are in the right! Every 12 hours, nurses are presented with patients they know nothing about. Nurses can’t assume anything, they must start from scratch. This begins with reviewing orders and communicating mismatch findings, regardless of what others think or feel about said notification. Now, there will be moments of insanity. Hell, your entire shift might be this way. In these moments in time, focus more on safety and less on pleasing others. Everyone from charge nurses to providers want you to do everything instantly. They don’t care about the Pyxis line or if you had time to look up drug reactions. But you MUST! As a bedside nurse, a nurse practitioner yelled at me (across the nurse station) regarding me not giving an antibiotic to a newly admitted sepsis patient. She was losing her entire mind, screaming at me and such. It was quite embarrassing. I had the antibiotic in my hand, took a deep breathe and continued my medication checklist. After completing the checklist, I found out my patient was severely allergic to penicillin. Her allergy armband was "misplaced" in the emergency department. Yeah, things like that happen. This is why the checklist is so important. People are going to be displeased with your performance speed because they don't know what is truly involved in performing certain tasks in a safe manner. It's easy to complain about something they aren't directly involved in, the consequences won't affect their livelihood. They might be upset but guess what? Who cares! I’m not trying to kill someone to please someone. I don’t care about your displeasure with my performance. Slow it down, be confident in what you do, who you are and block out the rest. It’s bullying to some degree, don’t cave in. Resist and do what you know to be right. Because when it's all said and done, you are the administer. And the administer will be at fault if anything is done in error. Everyone is concerned with safety AFTER something goes sideways, no one cares in the moment. In my opinion, nurses are sometimes pressured to perform in unrealistic timeframes. And when you can't execute the tasks within the "appropriate" timeline, there are likely consequences. Remember that nurse practitioner from before? Well the following week, I was reprimanded about my "delay in care." I fixed my face and told the story in its true context. Luckily, my manager stopped the complaint dead in its tracks. But that is nursing. Defending yourself, doing the right thing and some people still not getting it. And guess what? That's healthcare, in general. I understand healthcare is individualized and demanding, I know what I got myself into. I just feel that no one cares about the steps to accomplishing things safely, they only care about the end result. That is the true problem, the real problem. Stay strong, don't bend and don't undermine your professionalism for the sake of someone's displeasure. Emotions are fleeting, mistakes last forever. Don't allow someone's inability to see your professional purpose stop you from performing any aspect of your job. 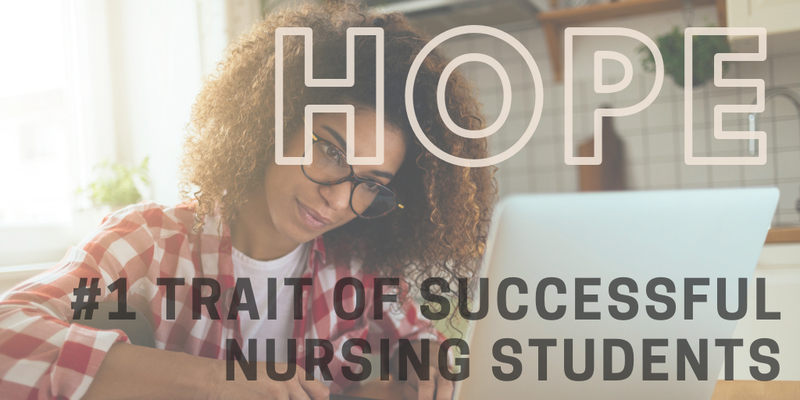 The #1 trait nursing students must possess is hope, hope that they can and will be successful. I remember starting my nursing program prerequisite courses. I'd sit in my anatomy course thinking nothing but negative thoughts. I was 90% optimistic and 10% pessimistic, but the 10% was the loudest. I heard nothing but my inner voice telling me that I couldn't do this. Every morning, I had to remind myself of my goals and to remain positive. I had a post-it on my bathroom mirror as reinforcement. 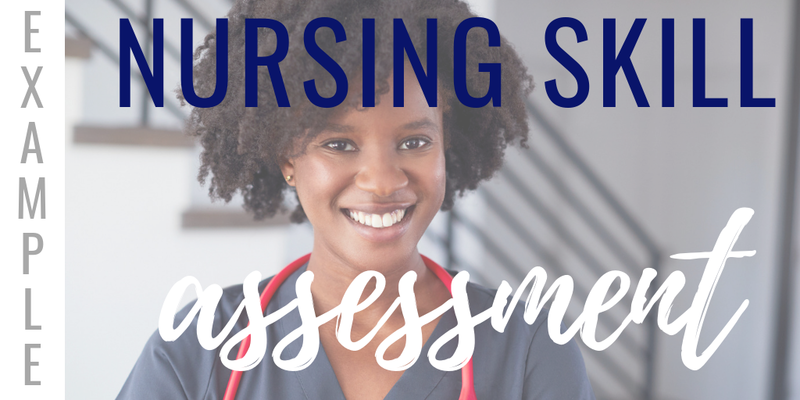 After my graduation, and even now as a clinical instructor, I heard and still hear the same stories from many nursing students. Countless students told me of the inner obstacles they faced, and the only thing that kept them focused on their future was hope. The hope that they would make it! In the beginning, when you are acquiring the courses to even apply to nursing school, it might seem like an unachievable goal. Seeing all the required classes might be daunting and overwhelming - it sure was for me. It was a wall of things I hadn't done yet and I wasn't sure I could complete them. You might not be able to picture yourself on the other side of the wall, but you will. I get that being pragmatic is needed in life. I understand that realism is necessary in the world. But oftentimes, we as humans discourage any hope within us. We talk ourselves out of things before they even begin. New things are uncomfortable. The unknown is stressful but to grow, we must allow hope to flourish recklessly. I never pictured myself being a nurse. I never imagined myself being a nurse practitioner. These were far-fetched goals, ideas in the back of my mind that I never let go of. It took my husband and me ten long years to conceive our son. He too was an idea. Doctors told us natural conception wasn't possible in my case. They told us that conceiving a child was highly unlikely. We heard nothing but these things. Yet we kept our hope, and we located a doctor who supported our idea. Hope is fragile, and you must protect it. Never let anyone displace it. Hope is the ability to stay true to yourself in the face of great adversity. Hope is everything yet nothing in particular. It means different things to different people, but we know exactly what it is and how it makes us feel. So with that in mind, I want to spread the power of hope. Each goal starts out as an idea, and ideas stem from hope. Hope is healthy. Hope is living. Do not give up on wanting more even if you are at the starting point. I was a terrible cashier at McDonald's. I was a lousy server at Red Lobster. I'm not JLo. I can't be good at everything, haha. 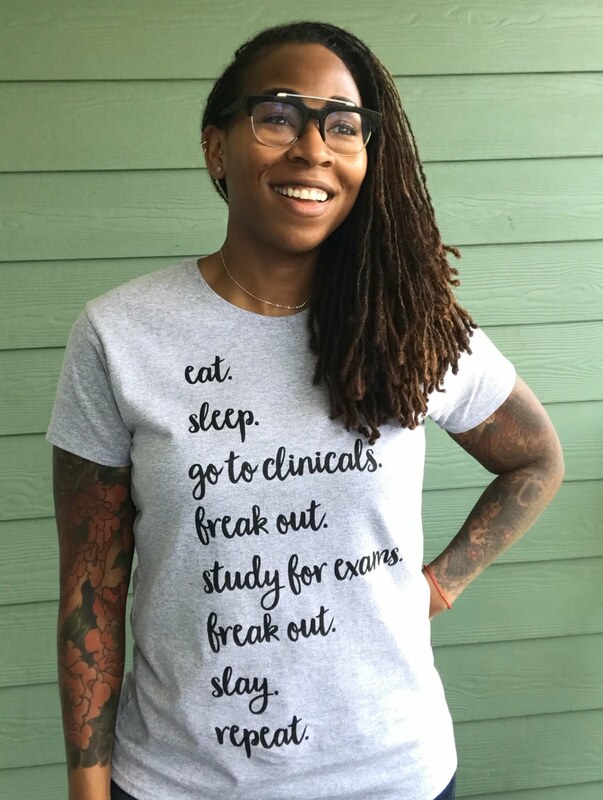 But nursing, I'm good at that (I think), and I love it. If nursing is your passion, never stop fighting. Don't allow others to diminish your hope, your community needs you. Keep going, you will get there. Multiple sclerosis is a relapsing-remitting disorder with symptoms that fluctuate over time. Therefore, the clinical diagnosis rests on the occurrence of at least two clinical episodes with different neurologic symptoms at different times. Sensory manifestations are a frequent initial feature of multiple sclerosis. Sensory symptoms are commonly described as numbness, tingling, “pins and needles” paresthesias, coldness, or a sensation of swelling of the limbs or trunk. Each floor is different, with each patient population requiring varying assessments. Below is a general assessment within the adult patient population. 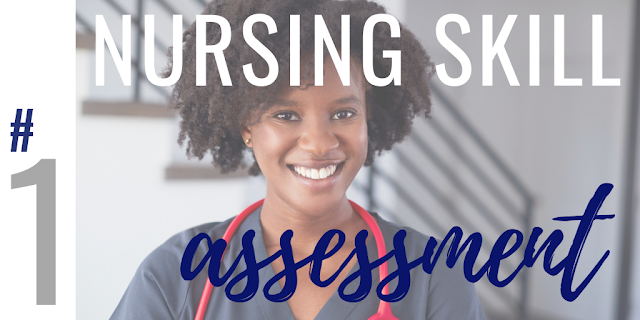 This list is for nurses who seek an assessment example, a roadmap of what to look for and evaluate. I used this list when I was an ICU nurse and it really helped me to hit each and every body system in great detail. This list also helped me to effectively communicate my concerns to providers. I never simply stated altered mental status, I went through my focused assessment in order to paint the full picture of this patient's clinical presentation. The goal is for you to get the pertinent information to the providers promptly so you can move on to the other 2,590 things you have to do. The red text is a reminder to dig deeper if abnormalities are found. Oxygen Demands? Recent Changes? CXR? PMHx? Recent Imaging? N/V/D? Recent Surgery? PMHx? Multiple sclerosis is considered to be an organ-specific autoimmune disease. One theory proposes that genetic factors interact with an environmental trigger or infection to establish pathologically autoreactive T-cells in the CNS.